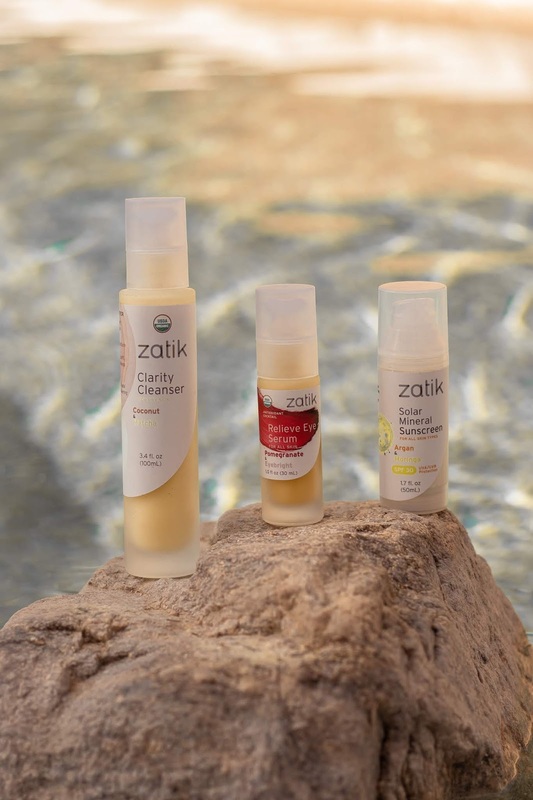 Green Beauty | My 3 Must-Have Zatik Naturals Items + GIVEAWAY! You guys know that I LOVE organic skincare! I get so excited to share products with you guys that I use and believe in. I get even more excited when I get to give away some of the amazing products to you guys! I'm giving away the 3 Zatik Naturals that are featured in this post! I wanted to give a little run down on each of the products and why I love them! The Clarity Cleanser has coconut & matcha in it and it's a great formula for dryer skin types. Whatever it is, if it has coconut and matcha in it, sign me up! Before I tried it, I read those 2 ingredients on the bottle and I was sold! Coconut and matcha have so many incredible health benefits! I knew it would make my skin better too. It's formula is gentle and moisturizing. It's a great cleanser for sensitive skin. I have pretty sensitive skin and my face has been a lot drier than usual these past couple of years so I need something moisturizing! I love eye serums. I mean, I really love eye serums! I get dark circles and under-eye bags so I love to give those areas a little extra love. The Relieve Eye Serum has a pomegranate and eyebright antioxidant cocktail to help ease puffiness and smooth wrinkle lines. I love that it feels light weight, but it's still very moisturizing! This is a must-have travel bag product! 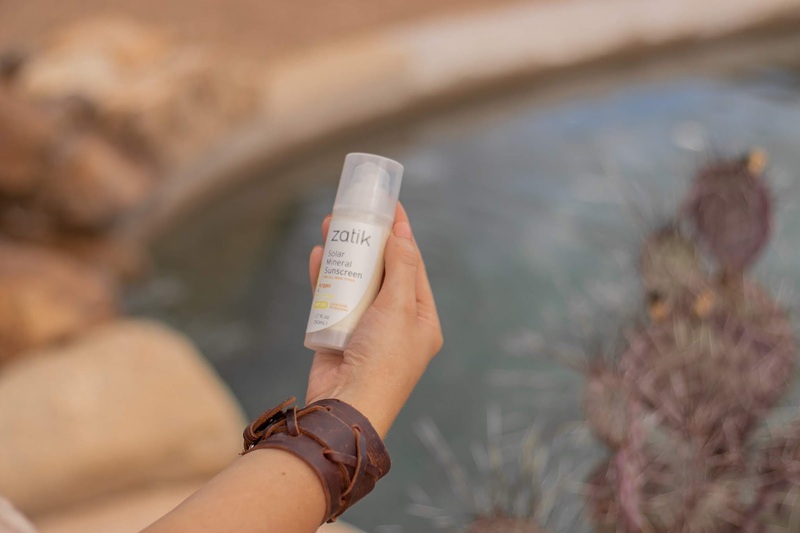 The Solar Mineral Sunscreen is SPF 30 and made with Argan and Moringa. It's vitamin and mineral-based sun protection. It also makes an awesome face moisturizer, so it's perfect for traveling! It's super important to protect your skin every day regardless of the sun coverage. Why not have one that's improving your skin while protecting it?! *Also, all of the products are organic & vegan! This is another one of the Turkish towels that I got from QuiQuattro! It's the Zeus Gray Stone Washed towel. Check out all of their fair trade products on their website and shop for an amazing cause! They provide job opportunities to female artisans in Turkey. 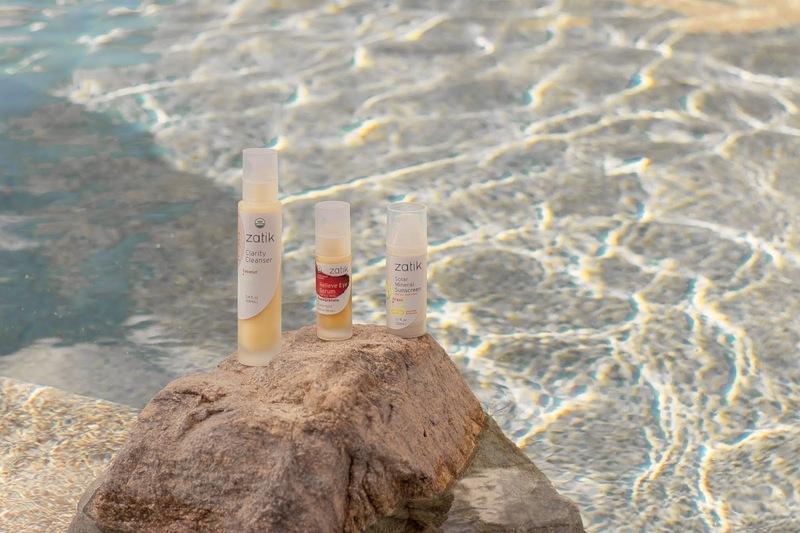 I've teamed up with Zatik Naturals to give 1 of a set of these 3 skincare products that I love! 3) Like + comment this picture by tagging a friend or 2! *Bonus entry if you tag more than 2 friends! 1 winner will receive the Clarity Cleanser, the Relieve Eye Serum and the Solar Mineral Sunscreen ! By entering you're confirming that you're 18+ years or older. This giveaway is in no way affiliated with or sponsored by Instagram. *I received product from Zatik Naturals and QUIQUATTRO. All opinions are 100% my own.